The Kartell Mr. Impossible Chair shows that, indeed, nothing's impossible when it comes to furniture design. Created by Phillipe Starck and Eugeni Quitllet, it combines sophisticated, organic-looking design and advanced plastic processing. 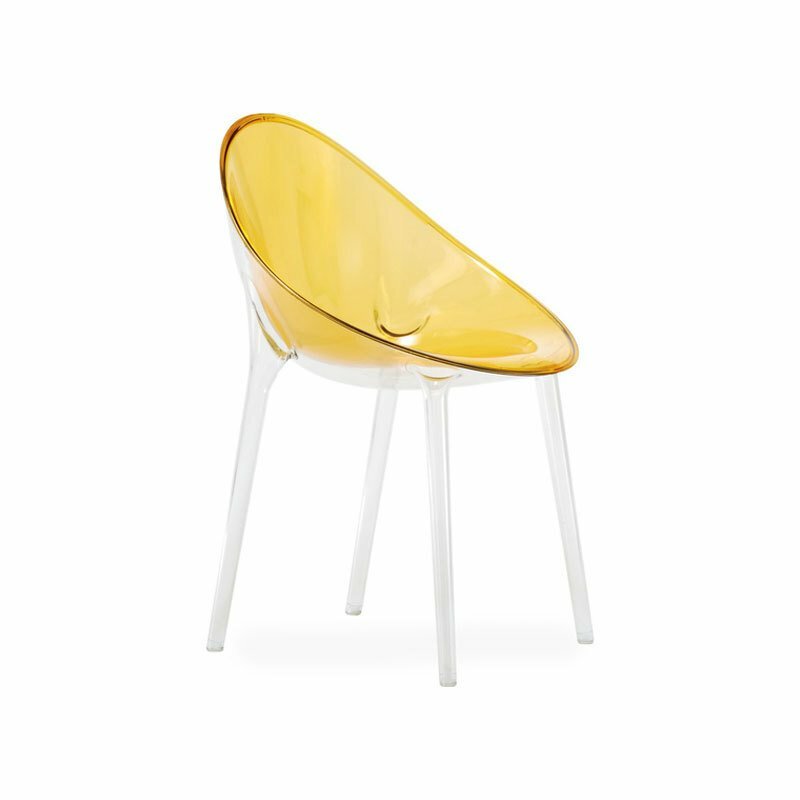 To create the fluid bi-color effect, the oval colored polypropylene seat is formed separately and then welded onto the clear polypropylene frame to create one seamless and durable piece.